David Brewerton - Head Coach David Brewerton is a native of Baton Rouge, LA and is in his fourth year as the Head Coach of our Broncos. He graduated from Catholic High School and earned his Bachelor’s Degree in general studies from LSU and completed his Master’s Degree in Sports Administration at the University of Southern Mississippi in 2004. Coach Brewerton served as an assistant football and wrestling coach at Redemptorist High School from 1998-2003. During his tenure there he was a part of 2 football state titles and 5 wrestling state titles. Coach Brewerton also coached at both Catholic Pointe Coupee and Jesuit High School before taking his head coaching position at Livonia High School in 2007. During his tenure with Livonia High School the team reached the quarter-finals, semi-finals and state finals in a three year run. He was voted the Class 3A Coach of the Year by the Louisiana Sports Writer’s Association in 2012. 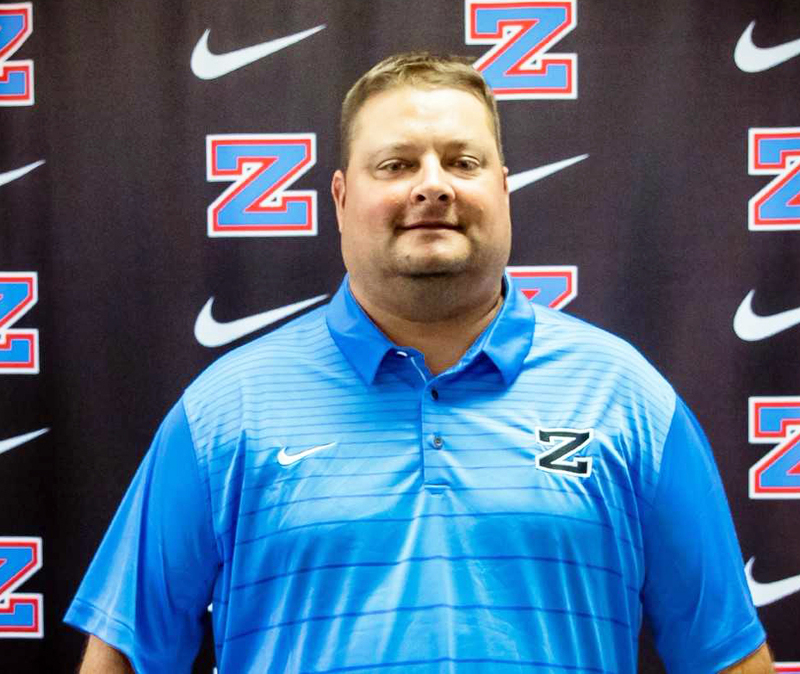 Coach Brewerton has a 3-year record of 36-7 here at Zachary which includes 2 District Championships, State Semifinalist appearances in 2014 & 2016, and State Championship Title in 2015. Coach Brewerton is married to Casey Brewerton and they have a 5-year-old son, Gable. Chris Carrier - Defense Chris Carrier is a 1983 Graduate of Eunice High School, where he played on the 1982 3-AAA State Championship team. He received his Bachelor of Science Degree in General Studies from Louisiana State University in 1990. While playing at LSU, from 1984-1987, he was a four-year varsity letter winner. He earned All-SEC honors in 1986-1987 and played in the 1985 Sugar Bowl, 1985 Liberty Bowl, 1986 Sugar Bowl and the 1987 Gator Bowl. 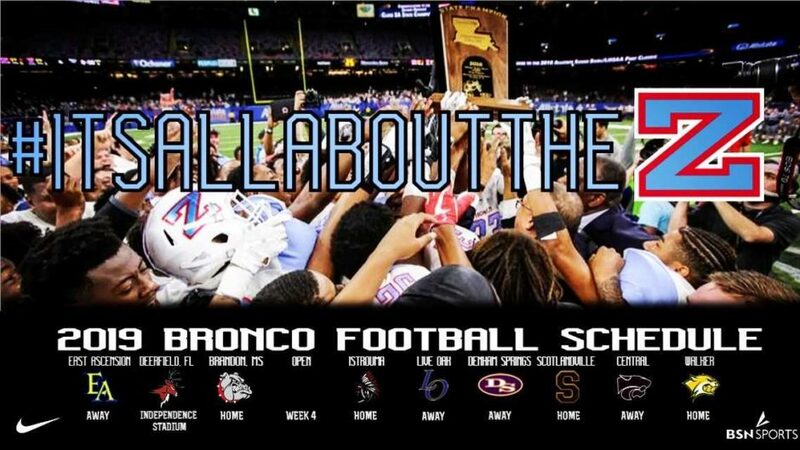 His high school coaching experience includes St. Louis Catholic High School – Lake Charles, LA 1990-1992, Catholic High School – Baton Rouge, LA 1993-2002, Dutchtown High School 2003-2009. 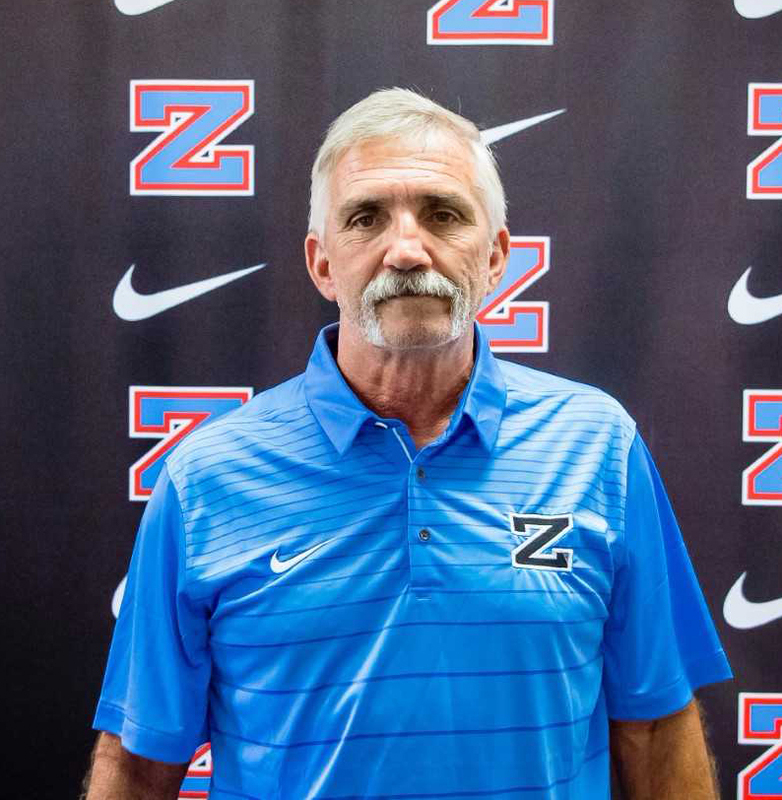 Chris is entering his ninth year with the Zachary High School football program coaching Defensive Backs. Chris’ wife is Wanda Thomas Carrier and his sons are Christopher, attending LSU and Cameron attending Nicholls State University playing football. Kendall Cleveland - Offense Kendall Cleveland is a 1994 graduate of West Orange-Stark High School in Orange, Texas. While at West Orange-Stark he was a four-year letterman in football and track. He earned his Bachelors of Science degree from Louisiana State University in 1999 in Kinesiology. While attending LSU he was a four-year letterman from 1995-1998, on the football team. 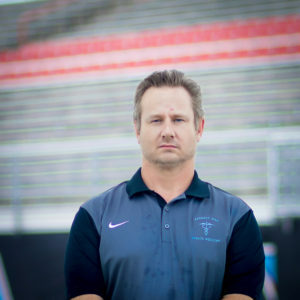 Coach Cleveland has been the running backs coach at Zachary High School for the past eight years. 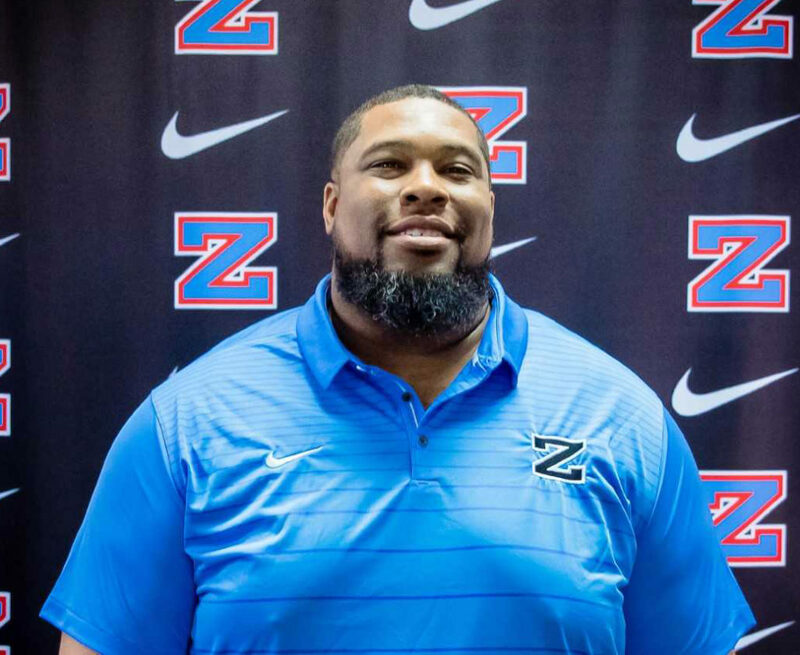 His coaching experience includes West Orange-Stark High School, Orange, TX from 2001-2003, Galena Park High School, Houston, TX from 2004-2007, and Central High School, Baton Rouge, LA for the year 2008. He is married to Nakeisha Robertson Cleveland and has four children: Kamerin, Kendall, Nyja, and David. Jason Davis - Offensive Line Jason Davis is a 1998 graduate of A.M. Barbe High School in Lake Charles, LA. For three years he lettered in both football and track, and he received awards for All-State in Both sports. He received his Bachelor of Science degree in Health and Human Performance from McNeese State University in Lake Charles. While at McNeese, he was a four-year letterman. He earned awards for 1st Team All-Louisiana, All-Conference, and 1st Team All-American. This is Jason’s 15th year coaching at Zachary High School. Jason’s wife, Michelle, is a teacher in East Baton Rouge Parish. They were married in December of 2005 and have a daughter, Mya. Josh Dibenedetto - Defense Josh DiBenedetto is a native of Port Allen and entering his second year as a Broncos Coach. He attended the University of Findlay in Findlay, Ohio where he received a Bachelor of Science degree in Physical Education, Health, and Adapted PE. While at the University of Findlay, he was a four-year letterman in football. 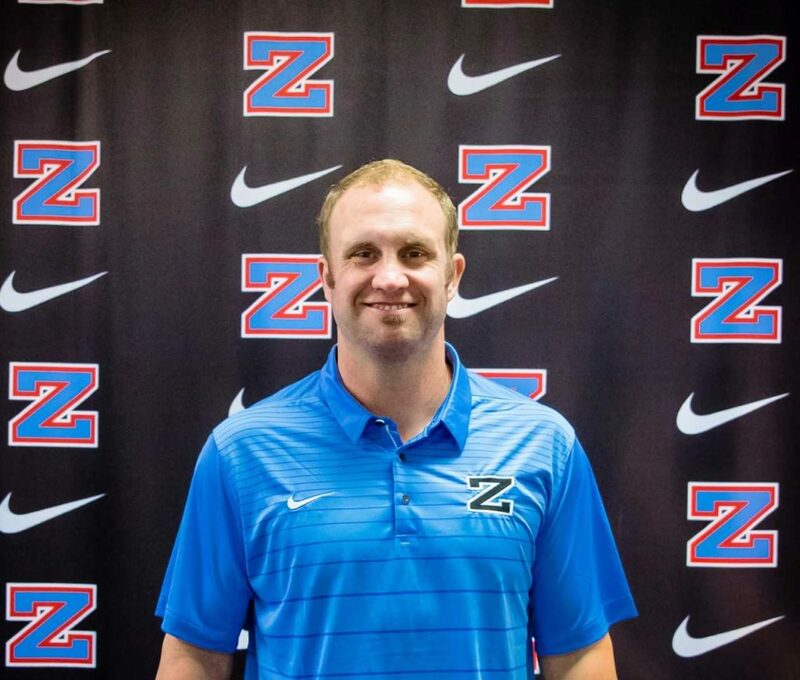 Josh’s coaching career includes the University of Findlay, Findlay High School, Livonia High School and Brusly High School. Josh’s wife, Kala is a Speech Pathologist for Zachary Community School District. Josh and his wife welcome their first child, Camille Amae’ born in August. 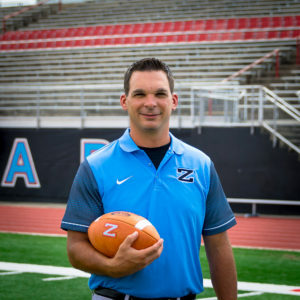 Mike Fouquier - Offense Mike Fouquier is entering his 15th year of coaching high school football and his 4th year as receiver coach at Zachary High. He started his career at Port Allen High School and also coached at his alma mater Brusly High School. Coach Fouquier has coached receivers during his three years at Zachary and will maintain that same role for the 2017 season. In 2014 he helped the Broncos to a semifinal appearance and in 2015 helped the Broncos win the 5A State Title. He is a lifelong resident of Addis, LA. Graduated in 1996 from Brusly High School where he played football, basketball and baseball and is currently working on his certification at Southern University. Coach Fouquier played junior college football at Itasca Community College in Grand Rapids Minnesota where he played tight end. He is the son of Paul & Linda Fouquier and has one sister and two nephews, Tanner & Austin. Gerry Garidel - Defense Gerry Garidel is a 1970 graduate of Baton Rouge High School. He graduated from Louisiana State University in 1977. He received his Master’s Degree in Education with a major in Sports Administration from the University of Southern Mississippi in 1995. Coach Garidel was an assistant football coach at Catholic High School for 30 years, and he served as Defensive Coordinator for 27 years. He was also the head baseball coach at Catholic High for 28 years. Coach Garidel and his wife Sharon have three sons: Jamin, Jody and Jeffrey. 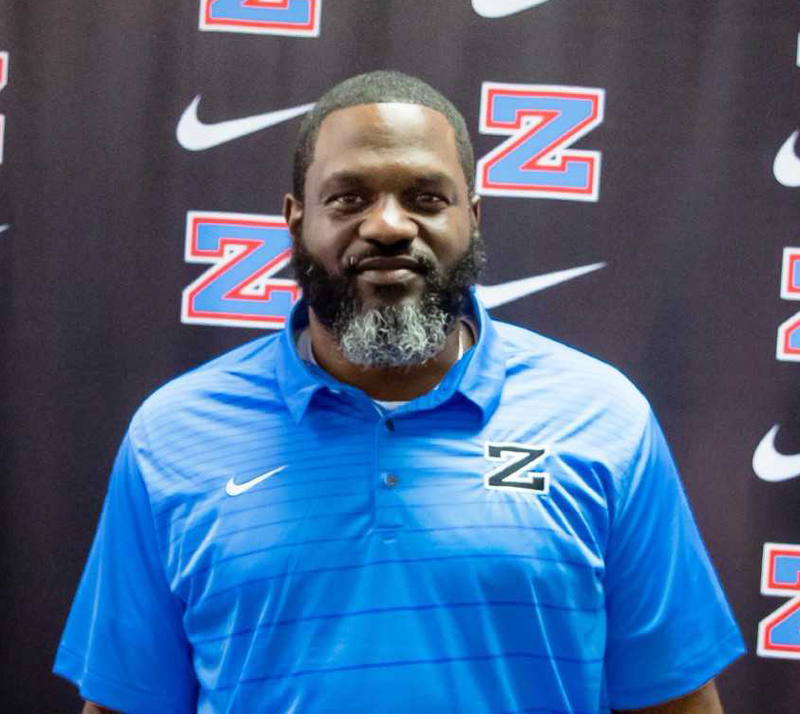 Patrick Hall - Defensive Line Pat Hall comes to Zachary as Strength and Conditioning Specialist and Defensive Line Coach. Coach Hall is a 1998 Graduate of Louisiana Tech University in Ruston, LA. While at Louisiana Tech, Hall was a member of the Baseball and Track teams. In 2004, Hall earned his Master’s in Education from Southern University. Coach Hall is a 21-year veteran of the coaching profession with stints at Louisiana Tech, Belaire High School, Parkview Baptist, Lutcher High School, St. Amant High School, and Ruston High School. Coach Hall is married to Veronica Hall and she is a teacher at Copper Mill Elementary. Coach Hall has two sons: Brennan and Gavin. 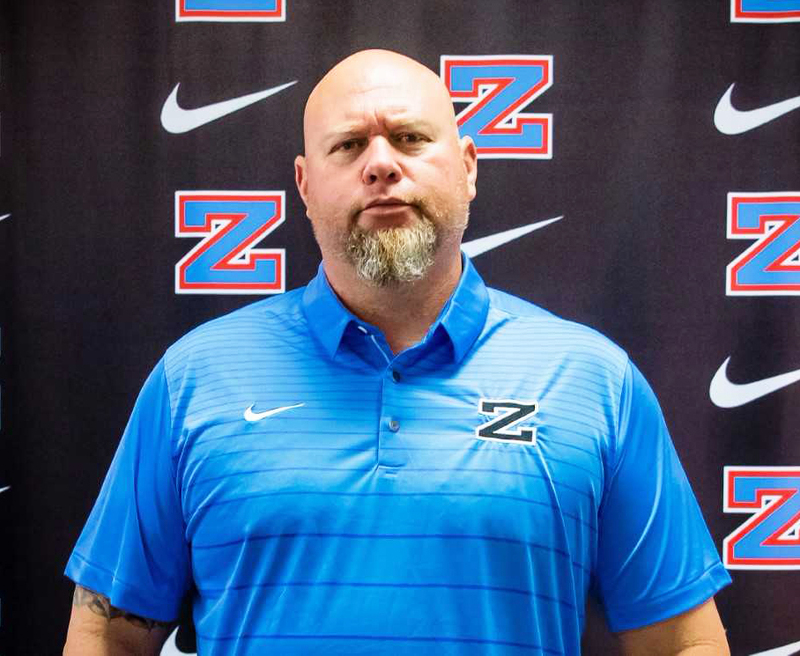 Kenny Langlois - Offensive Coordinator Kenny Langlois comes to Zachary as the Offensive Coordinator from Livonia High School where served in the same capacity for six years. Langlois is a graduate of Catholic Point Coupee and earned his Bachelor’s Degree in general studies from Southeastern Louisiana University where he was a four-year letterman in baseball for the Lions. Coach Langlois’ coaching career has spanned the past 19 years with coaching positions at Catholic Point Coupee, False River, Lee High School and Livonia High School. This is Kenny’s 4th year coaching at Zachary High School. Johnny Nagle - Defense Johnny Nagle is a 1968 graduate of Gloster High School. He received his Bachelor of Science degree in Louisiana State University in 1972 in Health and PE. His coaching experiences includes five years at Central High School, Baton Rouge, LA, five years at Nicholls State University, Thibodeaux, LA, three years at Texas State University, Houston, TX, 13 years at McNeese State University, Lake Charles, LA and seven years at Northwestern State University, Natchitoches, LA. Coach Nagle is entering his 9th year at Zachary High School. He has two sons: Slade, a Tulane State University Coach and Austin who lives and works in Lake Charles. Dru Nettles - Offense Dru Nettles comes to Zachary as one of our wide receivers coach. Coach Nettles is a 1989 graduate of Denham Springs, High School, member of the 1986 State Championship Baseball team. 3-year letterman in Football & 4-year letterman in Baseball. 1994 graduate of Southeastern LA Univ. in Kinesiology & Health. 4-year letterman in baseball & member of the 1992 TAAC Championship Team & West Regional Team. His coaching experience include 15 years at Denham Springs and 8 years at Woodlawn High School. At Woodlawn he was Head Baseball/Asst. Football from 1998-2002 with 4 District Championships and 1999 State Runner-up. Head Football Coach/Athletic Director from 2002-2004 with a district champion in 2002. At Denham Springs he was Head Football Coach/Athletic Director from 2005-2016 with playoff appearances from 2008-2015. (School record 8 years in a row). He has two daughters: Claire and Faith. 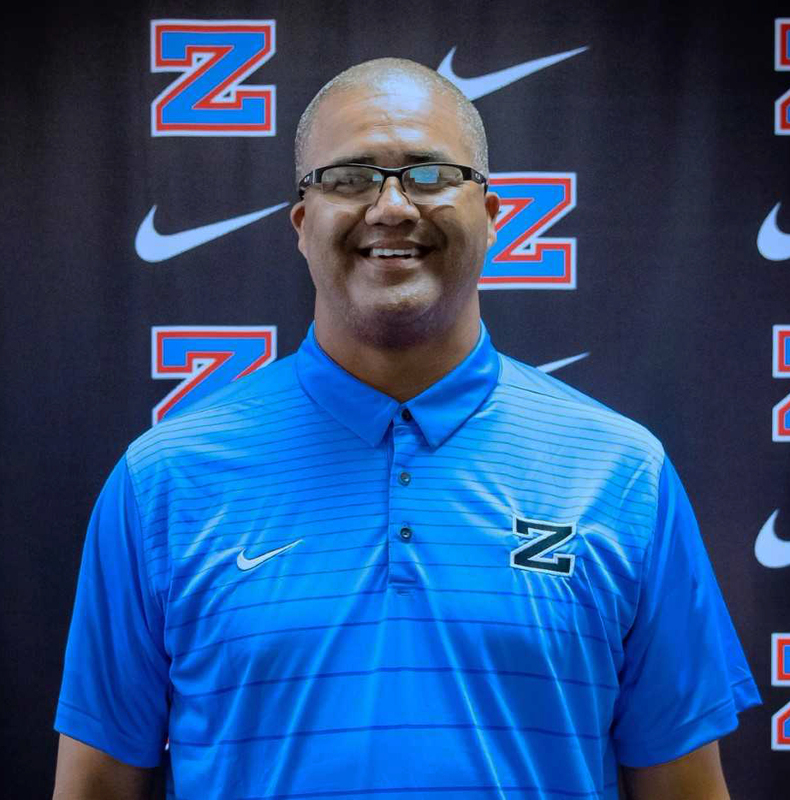 Steven Thomas - Defensive Coordinator Steven Thomas comes to Zachary as Defensive Coordinator. Thomas’ previous coaching experience spans the last 14 years with stints at Dutchtown, St. Amant, Port Allen, and Livonia. Coach Thomas and his wife Lauren have four children: Hunter, Lily, Audrey, and Ryan. Sean “Doc” Stanton - Athletic Trainer Sean “Doc” Stanton is a 1991 graduate of Belaire High School and a 2003 graduate of Southeastern Louisiana University where he majored in Athletic Training. 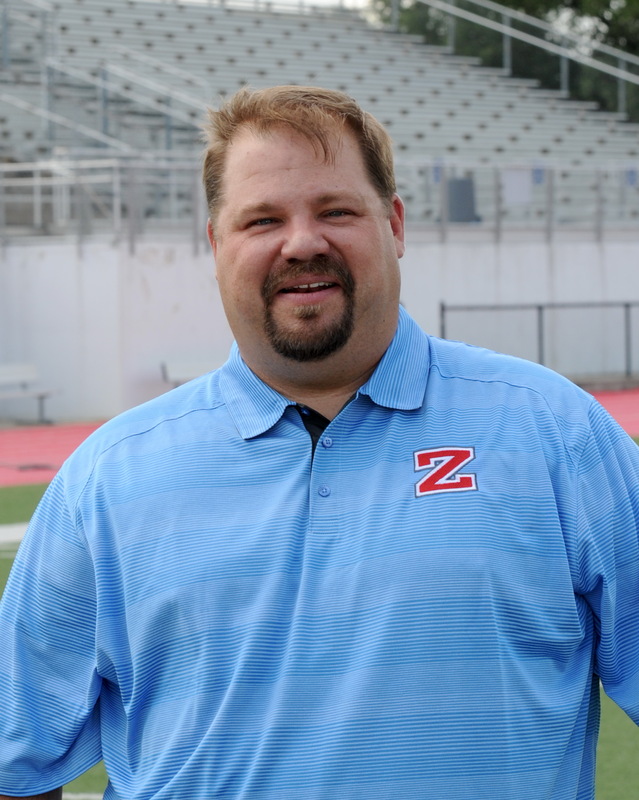 Sean is in 13th season as the Head Athletic Trainer for Zachary High School. 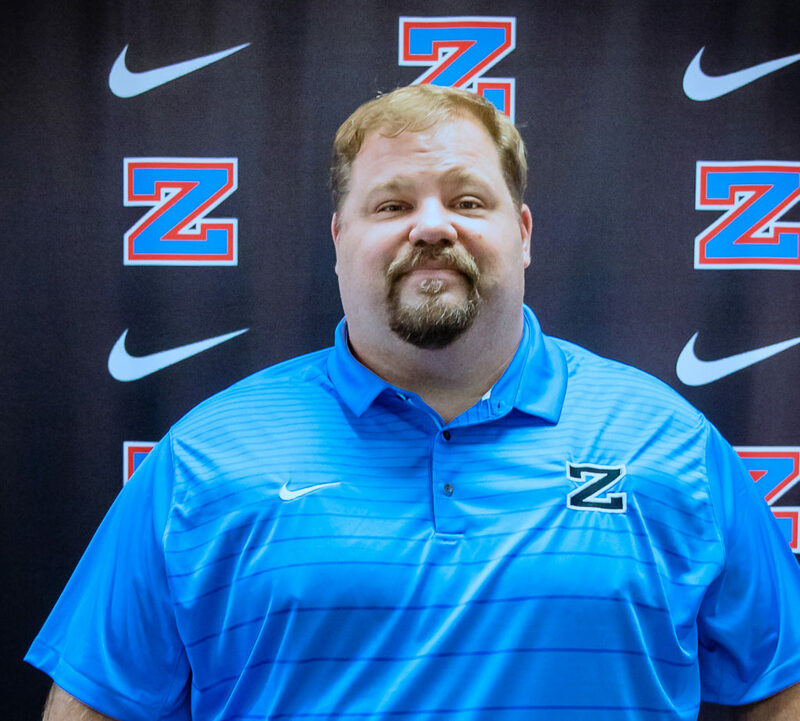 As well as being a Certified Athletic Trainer, he is also a Nationally Registered Emergency Medical Technician and Teaches Sports Medicine and Emergency Medical Responder classes at Zachary High. Doc is a member of the National and Louisiana Athletic Trainers’ Associations. 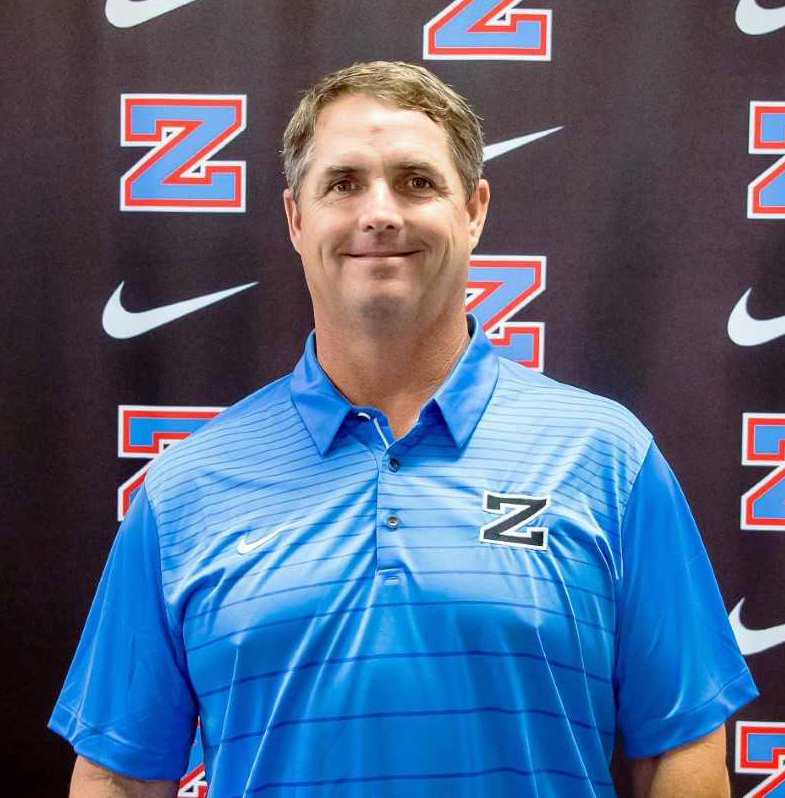 Doc has been a part of four state championship teams at Zachary High School which includes three with baseball (2007 – 2009) and one with football (2015). 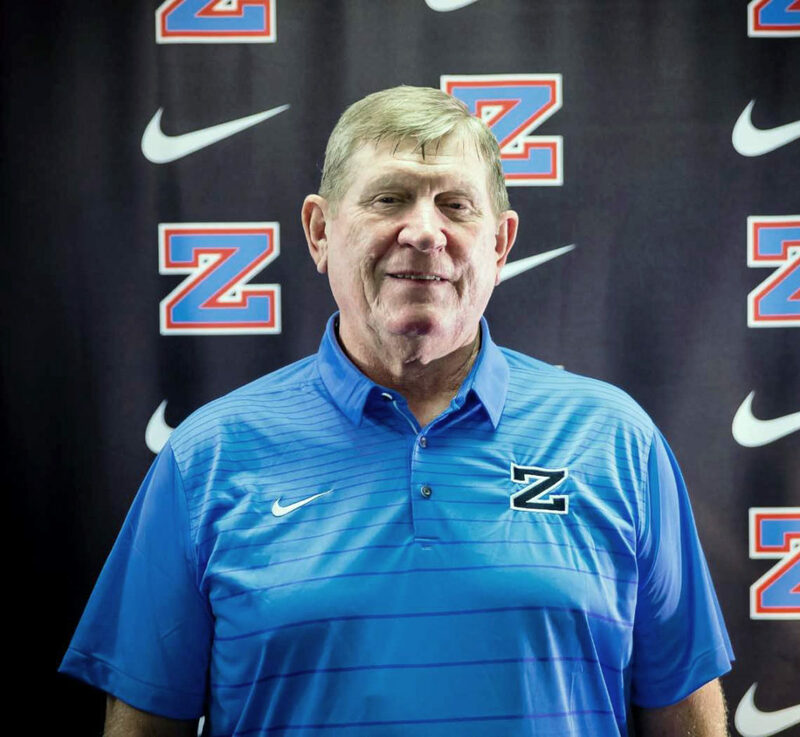 His most memorable moment at ZHS is watching all the coaches, student athletes, and support staff come together and help the Zachary community after the devastating 2016 floods. Sean is married to Tracy Stanton and they have three children Christian, Sydney, and Emma. Heather Stevens - Athletic Trainer Heather Stevens is a 1993 graduate of Clinton High School (Clinton, MS) where she lettered in soccer and basketball. She received her Bachelors of Science Degree in Kinesiology in 1997 and completed a Master's of Science Degree in Kinesiology from the University of Texas-Pan American in 2008. Heather served as the Certified Athletic Trainer at Angleton High School (Angleton, Tx) from 1998-2000, Harlingen High School South (Harlingen, Tx) from 2000-2002, Edinburg Roadrunner Professional Baseball Team of the CBL from 2003-2004 and the Rio Grande Valley Silverados of the ABA in 2007-2008. Heather is a Licensed and Certified Athletic Trainer as well as Licensed Physical Therapist Assistant. Heather is in her first year as Assistant Athletic Trainer for Zachary High school. She is married to James Stevens and has two sons, Jonathan and Jackson.